Xposed is one of tools which is the most powerful and sought-after that every advanced user of Android search. This tool has some awesome features that allow a user to customize his Android phone as. To use this tool, your android device must be in the rooted condition. After rooting your phone, you are able to use this tool. It is important to know that the framework by itself doesn’t do much. It permits you to install other apps/mods/tweak with system level functionality without having to flash them via custom recovery. 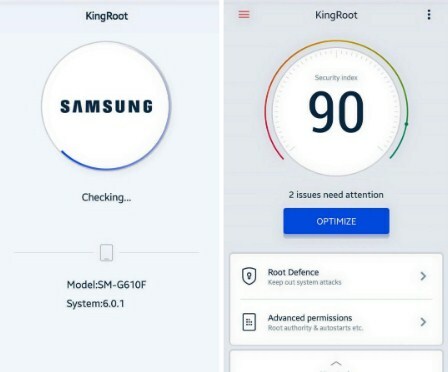 So, if you want to use this tool, you have to root your android device and you can root it by using Kingroot. After rooting it, you can install Xposed Framework by following these steps. You have to back up your system. You can boot into your custom recovery and take a backup before moving forward. Then, get the latest apk file from XDA forums. Install the app via side loading. You will have to enable the option that allow you to install apps not downloaded from the Play Store. You are able to do that by accessing into Settings and then go to Security and checking the option that says Unknown Sources. After that, you will need to launch the Xposed Installer app, go to the Framework section and click on Install/Update. Now, you are able to reboot you device and you are done. After that, you have to install modules because modules are the most important part of this process. First, find the Module you are looking for from the Downloads section in the app. When you find what you are looking for, you have to read the description carefully. This is very important since a lot of modules require you to run stock Android. When you have read the description and you are sure that your phone is supported, you have to go ahead and click download. For your information, modules are just like normal Android apps so the installation process is similar as well. After you have installed a Module, you will receive a notification which says that the Module is not active. Tap the notification and you will be brought to a page listing all the Modules you have downloaded on your system. Now, you have to check the ones you want to activate and uncheck the ones you want to deactivate. At last, you will have to reboot and all the changes will be applied. So, from the process above we can conclude that you have to root your android device first and you can root it using Kingroot and then you are able to install Xposed framework and use it. If you have any questions related to Kingroot Xposed Geek, you are able to ask to the forum of XDA Developers or any other forums which talk about android. We are sorry for the lack of the content and thank you for visiting this site and reading this article. Related Post "Kingroot Xposed Geek"